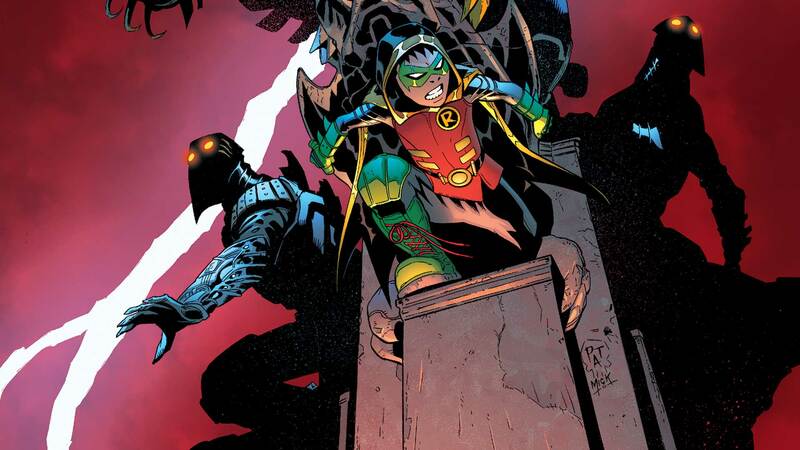 DAMIAN SAVES GOTHAM CITY—YES, AGAIN! “Robin War” part 5. In the aftermath of the cage match in WE ARE ROBIN #7, it’s utter chaos as the Court of Owls unleashes hundreds of imprisoned Robins to fight for survival— and to become the one and only Gray Son! Don’t miss the shocking conclusion to “Robin War” in next month’s ROBIN WAR #2!